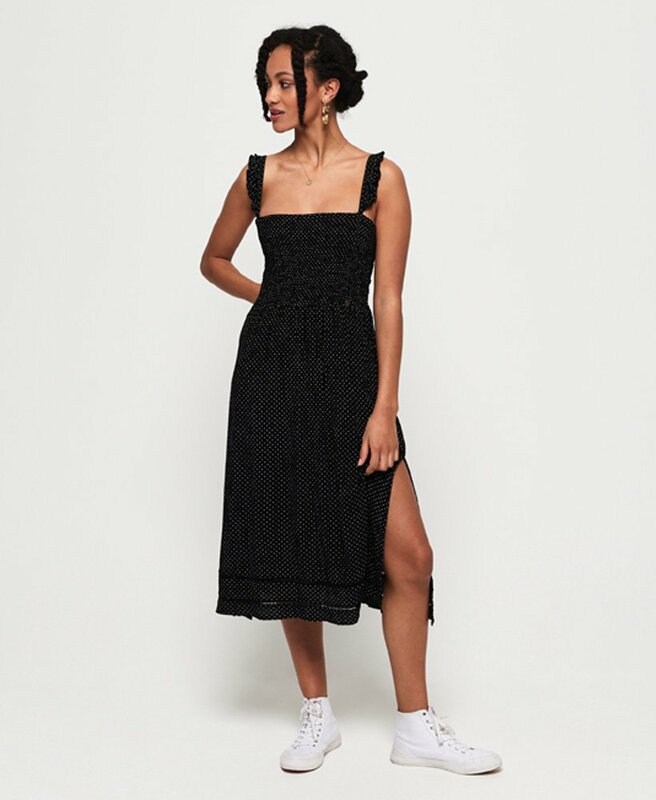 Superdry women's Rae midi dress. You can never have too many dresses and the Rae midi dress is just the refresh you need. Featuring adjustable spaghetti straps with ruffle detailing, a shirred body and cut out detailing along the hem. The Rae midi dress is completed with a subtle metal logo badge at the waist. Style with a denim jacket and your favourite wedges for a look that will work all day.